A lovely well-maintained colonial home on a cul-de-sac lot. 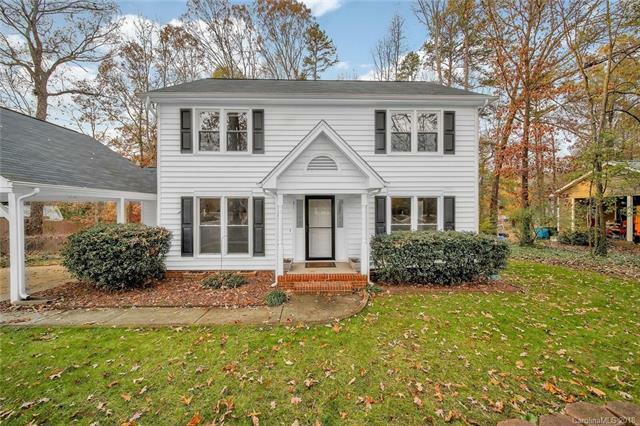 Located in the desirable Fort Mill award winning school district. NO HOA! ****ALL NEW CARPET & PAINT Move in ready! ****Eat in kitchen leading out to a cozy sun-room. A formal dining room, and a spacious front to back living/family room with a gas log fireplace, was a wood burning, can convert if desired. Nice laminate wood flooring on the entire first floor. Upstairs are the 3 good-sized carpeted bedrooms, with 2 full baths. All baths have ceramic tile flooring.A back deck off of the sun-room overlooks a huge private, beautiful .64-acre lot, with a fenced in area, and a large outbuilding/shed.Recent carport addition with easy access, leading to 300 sq. ft of storage. Convenient short drive to the greater Charlotte, NC area.